My newest book is called A Prairie Journey. If you would like a signed copy and desire a personal inscription, please fill in the box below as you place your order. Inspired by yesterday's traditional blocks and today's reproduction fabrics, the thirteen designs included in the book whisk readers back to an era when the time-honored quilt blocks today's quilters love were just making their debut. Stitch projects with names such as Wagon Wheels, Crossing the Prairie, and Aunt Sarah's Scrap Baskets, or make a Tree of Life friendship quilt featuring blocks autographed by friends or family. Vintage photos and the words of pioneer women from the mid-nineteenth century, a time when quilting offered a welcome respite from the hardships of moving westward, are sprinkled throughout. Small & Scrappy includes patterns for 16 charming little quilts made with historic details. Based on traditional patterns, these delightful little patchwork treasures are perfect additions to scatter throughout your home. Stitch classic blocks using your favorite reproduction fabrics and create sentimental, handmade treasures. If you would like your book inscribed, please add what you woud like me to write in the box below when you place your order. Women's quilting played an important role in the Civil War. 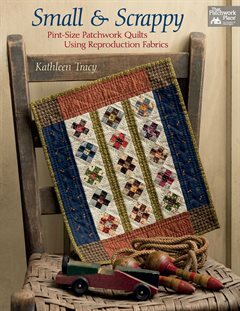 My latest book focuses on the role of quilting in women's sewing circles - quilts made for the soldiers, fundraising and friends. When the Civil War began, women quickly organized groups to send blankets, quilts and clothing to support the enlisted men. It was this experience - organizing the making of, distributing and raffling off of quilts for the cause - that led to important changes in women's roles and had a huge impact on the women's rights movement after the war. Filled with eloquent excerpts from letters written to and from soldiers and wonderful historical photos that capture the time period so well. The Civil War Sewing Circle contains patterns for 16 appealing projects, including large quilts, doll quilts, a pincushion, sewing box, and needle case, all perfect for your reproduction fabrics. Remembering Adelia was inspired by the diary that was kept by a young woman during the Civil War. Adelia Thomas' diary had been locked in a trunk in a family's attic for over 100 years. I came across it at a local historical society several years ago while I was researching photos for my last book, Prairie Children and Their Quilts. Upon glancing through the diary, I discovered that Adelia was a quilter and I became fascinated with her journal entries about daily life on a farm in northern Illinois in 1861, the year the Civil War broke out. I knew I had to tell her story and design quilts to go along with it. 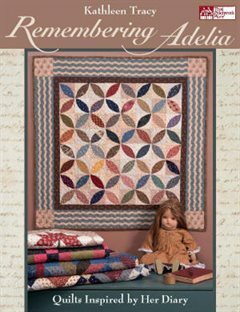 Remembering Adelia features a number of large quilts as well as charming doll quilts and is full of 19th century quilting traditions. 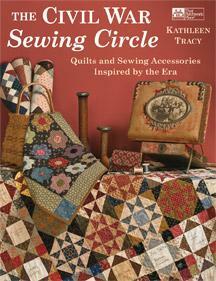 Look for it in quilt shops or order your signed copy from me. What was life like for children growing up on the prairie? 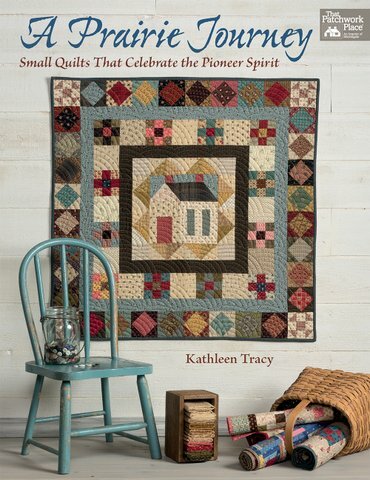 Inspired by actual children’s diaries from the American frontier, this follow-up to the bestselling American Doll Quilts gives complete and easy directions to create small, antique-style projects as you read about the lives of pioneer children and their families. Celebrate the sweet, centuries-old American tradition of antique doll quilts with stories of the past and heirlooms for the future. These simple projects will capture the charm of yesteryear for a child—or the child within. 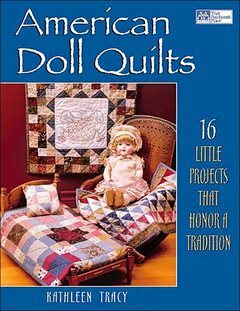 Sixteen designs represent doll quilts made during different periods in American history, starting with the colonial period and moving through the Civil War, the Victorian era, the Great Depression, and World War II. 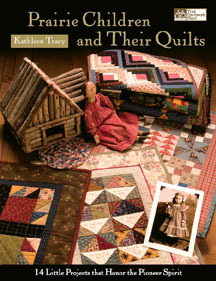 Explore our country’s quilting traditions while you learn some very basic blocks and simple piecing techniques to make simple little doll quilts much like the ones children learned to make long ago. Create authentic-looking doll quilts for your favorite 18-inch doll or just have fun with your reproduction fabric scraps. Projects in a range of sizes up to 20" x 22" include an embroidered medallion quilt, a crazy quilt, Civil War era quilts and needle cases, an Amish quilt and a friendship pillow easy enough for a child to make. Sorry, but I am no longer accepting international orders for books or patterns.